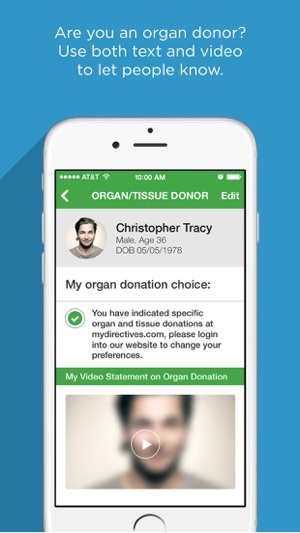 MyDirectives MOBILE™ is a free app that helps you to record and share your organ donation status and tell doctors who can make treatment decisions for you if there is a medical emergency and you can't communicate. Health emergencies can happen at any time. 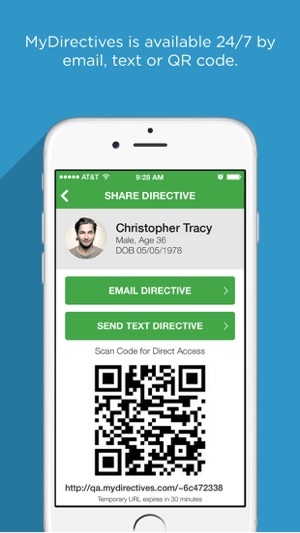 MyDirectives MOBILE™, a companion to the award winning, free-to-consumer MyDirectives.com, helps you to be prepared just in case. Make your organ donation wishes clear and name up to three "healthcare agents” — the people you trust to speak and make medical treatment decisions for you if there is a medical emergency and you can't communicate. 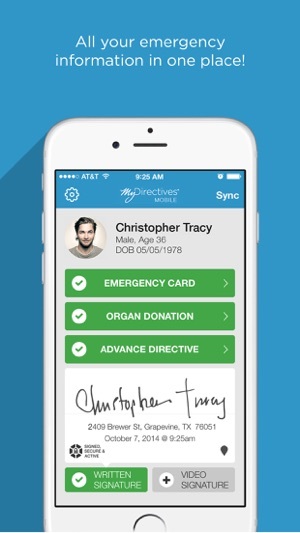 MyDirectives MOBILE and MyDirectives.com work together to provide everything you need for an emergency medical care plan. You can complete your emergency plan in minutes or take as long as you need to feel confident. 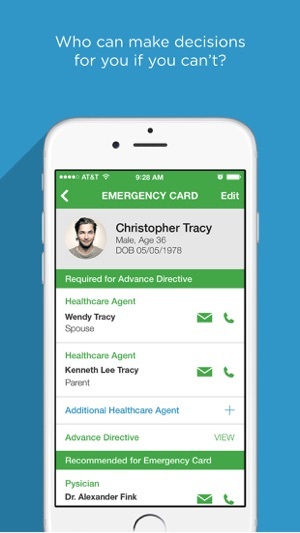 Our cloud-based service stores your emergency, critical and advance care plan online for free. 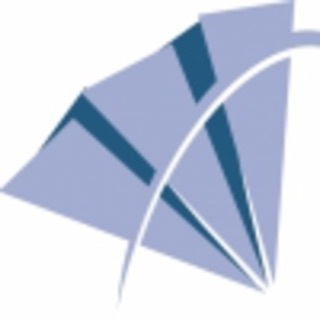 - My Decisions: What are your medical treatment goals, preferences and priorities? Use your own words or select from a list of answers. Keep this relevant with updates as needed. - My Healthcare Agents: Who do you want to represent you and make medical treatment decisions for you if you can't communicate during a health crisis? - My Thoughts: Make a hospital visit better with messages, video posts (we call it the Most Unselfish Selfie™ or the Most Selfless Selfie™! ), music and photos that help caregivers know more about you and help you feel more confident. 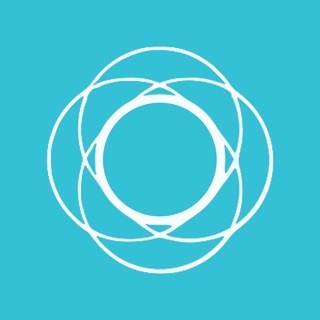 - My Circle: Keep all your key contact information in one place. Convenient for you, and vital to your caregivers in a crisis. Added Face ID and fixed some issues of Touch ID. I've been unable to log in - I have an account and click on the Log In with Facebook button and it crashes the app before it logs in every time. As a physician for more than 50 years, I strongly urge you to fill out the brief and simple form to store on your device.